When I started drinking wine as a student, I was bottom feeding. Buying cheap wines from supermarkets. Most tasted bad. Now wine tastes better, even at the bottom end. That’s a good thing. But let’s explore the issue a bit further. I’d argue that generally speaking, we don’t want our wines to taste nicer, but truer. A quick taste – a mouthful – isn’t a very meaningful way to assess a wine unless you have a lot of wine expertise. Novice or low involvement consumers don’t taste wine the same way as experts do. They focus on what is in the glass, and the sensory clues that this gives. Experts are able to marshall their knowledge, and use their cognitive abilities to help them make sense of their perceptions. Normal people find tasting lots of wine together bewildering because they don’t have any mechanisms like this to help them deal with what they are tasting. Yet often these consumers are presented with a range of wines and asked to state a preference. Which tastes nicest? It’s unsurprising that in these sorts of tests, strongly flavoured but gentle flavours are chosen. For reds, this means sweetly fruited and deeply coloured wines with low tannin and acid, and even some actual added sugar. They taste ‘nicer’. But let’s make a comparison with cheese. I don’t want someone to take my cheese and make it taste nicer. I want Comte that really tastes of Comte; I want Cheddar with a strong spicy tang; I want goats cheese that’s even a bit alarming at first for its goatiness. If you give 20 non-involved cheese consumers something that cheese experts would consider to be a range of great cheeses, and then slipped in a mild, creamy cheddar made from pasteurized milk and with no real flavour, they may well prefer that. But where does this leave us? Does this mean that in order to sell cheese we should strip it of some of its flavour to make it more palatable? No, because we can quite happily live with the idea that there’s mass market cheese sold cheaply in supermarkets, and there’s the real stuff with proper flavour and providence. The latter is what food writers and people who enjoy flavour are interested in. Consumers seem to be able to live with the idea that the cheese market is segmented, and the big bricks of cheddar with no flavour serve a purpose, and that the expensive ‘proper’ cheeses serve another, and if you are interested in flavour, you buy the latter. With wine, it’s largely the same. Ask a group of novice consumers to taste a range of wines, and as they sip their way through they might well prefer the big brand red with 10 g/l of residual sugar and no nasty tannins. Smooth, sweet and tasty. Does that mean that there should be more of these wines on the market? Should we be making more off-dry reds because that’s what a large segment of the market really wants? This isn’t a straightforward question to answer, because the answer may be different for different segments of the market. Generally speaking, though, as with cheese, I don’t want my wines to taste nicer: I want them to taste truer. Where there are wines of terroir – expressing a local flavour – I really want to buy one of these wines that tastes of where its from. That’s what makes wine interesting. 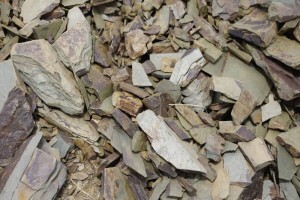 Of course, this local flavour is partly derived from the site, which is the conventional understanding of terroir. But terroir as expressed in a wine is an interpretive act. It’s the combination of site, plus the variety (ies), and the choices of the winegrower. Local cultural practices can contribute to the local flavour. Some places have more local flavour than others. That’s just how it is. With wine, if you have a local flavour, no one can copy you. You are potentially able to rise above the mess that’s the price-sensitive bottom end of the market. Say you are a producer in Fitou. It’s not easy to sell Fitou: there’s a lot of it made, and it’s quite cheap. What do you do? You can resort to winemaking trickery and add some post-ferment sugar, and make a wine that tastes better (according to average consumers being given a range of glasses to sample). You might be able to sell your wine to a supermarket more easily because of this, but will you get any more money? No. You’ll just get to empty your tanks and, if lucky, not make a loss on the wine. The alternative is trickier to achieve but could lead to long term success: make really good Fitou that tastes of the place, and transcend the appellation by supplementing the regional brand (Fitou) with your own brand. If you make excellent wine, and establish a good route to market, you have a chance of making money and escaping the dreadful bottom end of the market where producers merely survive (if they are lucky) but never succeed. Make your wines taste truer. Not nicer. Of course, ideally we want the wine to reflect its terroir and hence be true rather than just nice. However, the vast majority of the wine buying public are not too bothered about terroir and/or whether the wine is true to its appellation and cepage . All most want is a nice wine. Lets face it many hardly even taste the wine but gulp it down !! The main maxim of marketing, is to give customers what they need at a price they will pay. Hence most wine produced is nice not true. Hmmmmm. I am not too sure. I have had lots of wine that is true to its terroir but tastes awful. I like great tasting wine. Maybe it is because there aren’t that many good terroirs out there; who knows. I don’t think it is a fault to like budget bland Aussie or Spanish wine for example. Each to is own. My only gripe is the prices which keep going up. That brings back memories of having some very good Fitou while in the Fitou region. And that’s what keeps me occasionally buying a Fitou here in the US, only to be disappointed in most cases. Hey Jamie — long time. Compliments on the blog post. I agree with you completely. Yes, very true. I think some commentators on wine forget this. Aiming for a segment of the fine wine market gives you a smaller potential customer base than making cheap, acceptable wine, but if it’s enough to keep your business afloat, it’s enough. It will probably be a more loyal market, and ready to pay more too. Regarding terroir, I think, oddly, of something Ansel Adams famously said about photography. He used to make a comparison with music, saying that the negative was like the score, the print the performance. I think you could make a similar comparison with wine: the terroir is the score, the actual wine the performance. The musical score dictates the kind of music you will play, but there is still a lot of room for variation and individuality in how you choose to play the piece of music — including, potentially, distorting it completely if you’re an insensitive musician. Thank you Jim, yes – 20 years almost!! Trabalho com vinhos há 20 anos, sinceramente o apelo no meu país aí da é comercial. Com raras exceções. Sou autodidata e busco hoje com mais facilidade referências bibliográficas e blogs que me leve para esse lugar de mais é melhor interação com esse “ilustre desconhecido” o vinho. Tenho gostado e apreciado cada vez mais os vinhos autênticos, e percebo que há uma longa estrada a se percorrer … mas vamos adiante.